’The artwork was created by Stathis Ridis (bassist at Lucifer’s Child) on a concept idea by Stathis Kassios. You might wonder..How is the title of the album ‘’Dark Metropolis’’ related to the cover artwork depicting a dark female figure? 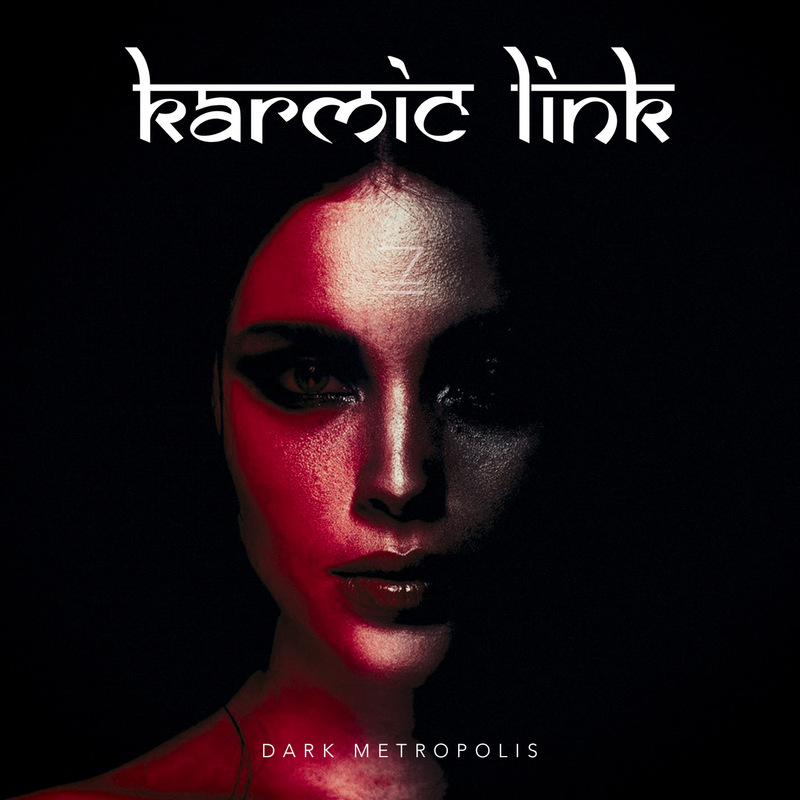 Karmic Link (est. 2006) since birth of our band always wanted to provoke intense emotional and mental reactions enhanced with esoteric meanings and hermetic symbolisms. Our society is heading towards a state where advanced AI machines will hardly be discerned from humans, the exponential growth of technology will surpass our linear biological evolution, what many researchers call the age of Singularity.